Sioux County is a county located in the state of Iowa. 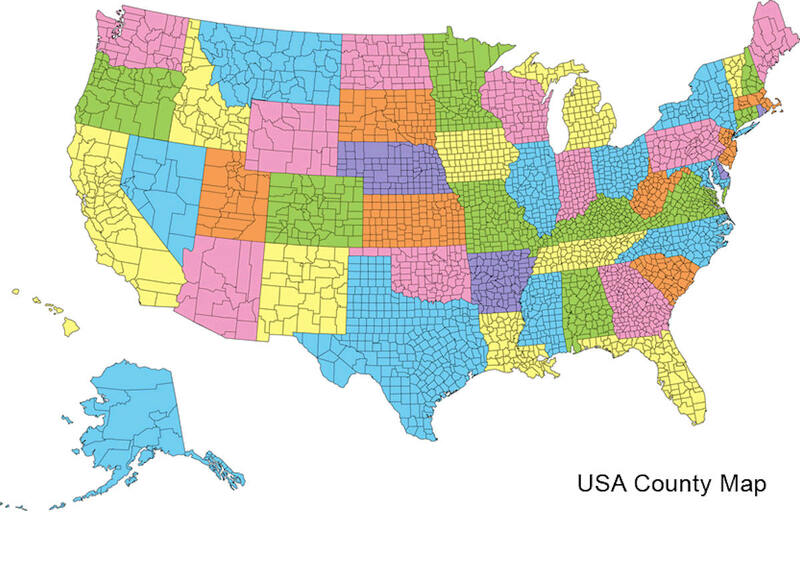 Based on the 2010 census, the population was 33,704. Sioux County was created on January 15, 1851.The county seat is Orange City. 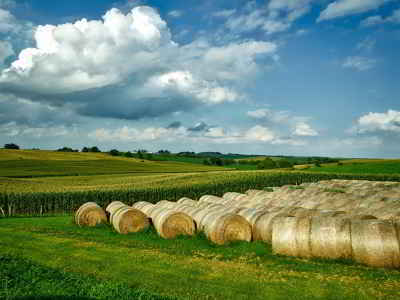 The county is named in honor of Sioux Native American tribe, which was once prosperous in the Iowa and Minnesota area. Sioux county is named for the Sioux Native American tribe. Sioux County, located in the northwest corner of Iowa, was established in 1851 and formally organized on January 20, 1860. Its name is in honor of the Sioux Indian tribe, which was once prosperous in the Iowa and Minnesota area. The tribe was also known as the Dakota tribe. Sioux means "Snakes" or "Little Snakes." The county was established in 1846 and originated in 1853. The first county seat of Sioux County was Calliope. It was a small village, established in 1860 with no more than 15 residents, the entire population of the county at that time. The first courthouse was built in Calliope in 1860. It served the county until 1872 and was a one-and-one The name means either "People of the Yellow Earth" or "red bana-half story log cabin. It contained portholes, like a fort, for protection from outlaws and Indians. The building also served as living quarters for county officials and other residents. As was previously mentioned, Calliope contained all the residents of the county, but in 1869 that all changed. At this time there was a large increase of immigrants, mostly from the Netherlands, into the area. The town of Orange City was laid out by Henry Hospers in the eastern part of the county, and the immigrants from the Netherlands flocked to the area. It was not long before a rivalry developed between the two towns. This rivalry became so heated that, on January 22, 1872, 55 bobsleds left Orange City bound for Calliope. Along the way they met up with 25 more sleds from the Hull area. When these raiders arrived at Calliope, they cut a hole in the log courthouse and removed the safe and all of the county records contained within. They then hauled the 5,000-pound safe back to Orange City. The safe and county records were later returned to Calliope with the agreement of both towns. However, the county seat was officially removed to Orange City with an election held in November 1872. The old log cabin in Calliope was sold and county offices were scattered around Orange City for several years. 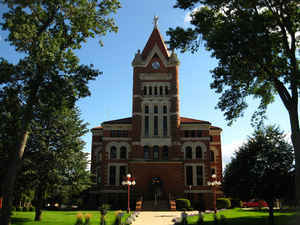 Then, with the help of a bond issue, the construction of a red and buff-colored sandstone building began in June 1902. Construction was stalled when the construction company went bankrupt later that year. The building was finally completed in October 1904. There was a huge celebration containing bands, glee clubs, speeches and even fireworks. M.P. Van Oosterhout of Orange City furnished two 1,400 pound. steers for the barbecue. Lightning struck the courthouse tower in 1907, knocking off about four feet of the pinnacle, which broke many roof tiles. A 10-foot bronze statue of "Lady Justice" (Vrouwe Justitia), replaced the broken pinnacle. From 1976-1982 extensive improvements were made to the courthouse and its facilities: a new roof, renovated courtroom, an elevator, the latest computer system, and new voting machines. In 1977, the Sioux County Courthouse was placed on the National Register of Historic Places. The new Sioux County Human Services Building was completed in 1991. The building was designed to complement and mirror the courthouse by using the same Romanesque Revival architecture. The voters of Sioux County approved a $6,000,000 general obligation bond issue on October 16, 2001 to erect a new County Public Safety Center. Construction of the new County Public Safety Center commenced during September, 2002. As reported by the Census Bureau, the county has a total area of 769 square miles (1,990 km2), of which 768 square miles (1,990 km2) is land and 0.7 square miles (1.8 km2) (0.09%) is water. Sioux county is located in northwest Iowa. Eastern Sioux County drains to the south east to the Floyd River. Western Sioux County drains to the south west to the Rock River or the Big Sioux River.